South African scientists and medical experts have developed arguably the world’s most potent and effective green tea extract to help fight disease and boost health and vitality across the globe. A clinical study shows that revolutionary new SA technology used in the processing and delivery system of the extract results in an extremely dense botanical concentrate with a 15-fold greater absorption rate by the body and a greatly extended active life compared to standard, dried green tea extracts. Volumes of research show that green tea, used for centuries for its health benefits, contains potent bio-active compounds which help fight cancer and diabetes, counter inflammation and promote cardiovascular health. Other benefits include supporting vitality, detoxification, mental focus and weight management. An extensive study of Japanese adults showed those who drank green tea lived longer than those who didn’t. Green tea’s celebrated benefits stem from its rich supply of catechins — powerful antioxidants which prevent cell damage and fight disease. Eight catechins are found in green tea, among them Epigallocatechin Gallate (EGCG) which studies show may help prevent cancer. But, to obtain these health benefits requires consuming abnormally large amounts of high-quality green tea throughout the day, every day. Now, after years of research, scientists at Plandai Biotechnology which owns the eco-friendly Senteeko tea estate near Barberton, Mpumalanga, have combined a world-first extraction process called Phytophare® with the ground-breaking Pheroid® nutraceutical delivery system in an extract, known as Origine 8, shown to deliver all eight catechins far more effectively than other green tea extracts. A single capsule delivers the benefits of 20 to 30 cups of green tea. Through the Phytophare process, live plant matter is extracted within an unprecedented six hours of harvest. The high-quality extract is then packaged by the clinically proven Pheroid® nutraceutical delivery system into capsules produced with organic substances and modified unsaturated fatty acids. Pheroid technology was developed at North West University by Professor Anne Grobler. 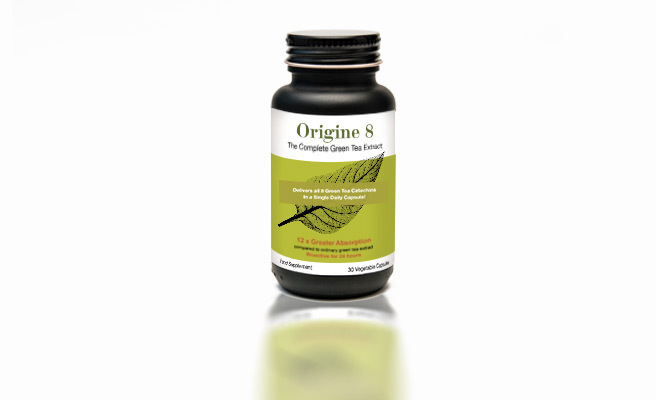 A clinical study showed that in addition to dramatically improved potency, absorption and bio-availability, catechins delivered by Origine 8 were still found in the body after 24-hours while catechins in standard green tea were cleared after only five hours. “Through many years of scientific research and by combining revolutionary South African technologies, we believe we’ve produced possibly the most potent and most bio-active green tea superfood extract with the potential to dramatically help fight disease and promote good health across the world,” said Prof Grobler. She said the breakthrough extract would be available in South Africa immediately, launched globally over the next year and was set to become the international benchmark in green tea health supplements.